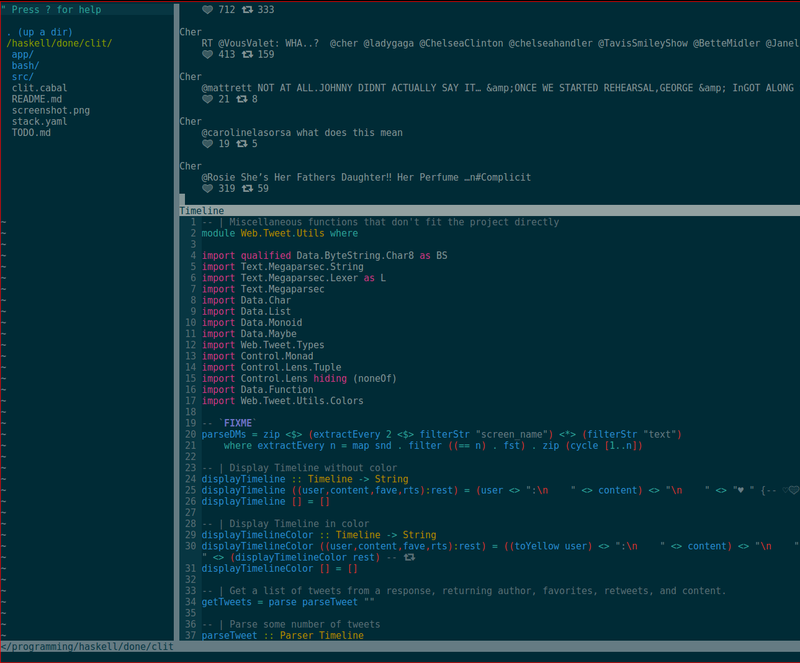 GitHub - vmchale/vim-twitter: Tweet from inside vim! Want to be notified of new releases in vmchale/vim-twitter? You'll have to install the Haskell CLI tool, viz. You can also download it for linux from here; hopefully it shouldn't be too hard to find. After that, put your API keys in a file (default ~/.cred.toml or set path with g:twitter_cred), viz. To view your timeline, use :Timeline or <silent> tl. To tweet, enter :Tweet to open a scratch buffer, and then t in normal mode to tweet its contents. Hit q to exit.